H&H Environmental Construction and Consulting technicians use the latest in infrared camera technology that allows us to quickly and accurately uncover hidden problems that other inspectors might miss. Thermal imaging, also called thermography, detects heat patterns or temperature changes in objects. Infrared thermal mapping and imaging uses both infrared and visual (visible light) simultaneously to captures a digital photo that combines the two together. We use the Fluke TiR1 Thermal Imager for our imaging. Locating hidden moisture and leaks in a building’s walls or structure. Determining whether building materials are dry after flooding or a mold remediation project. Determining the extent of water damage from flooding or plumbing accidents. Locating areas of thermal energy loss. For obtaining legal evidence of moisture or construction flaws. Heat is seen through the eye of the camera. Cooler temperatures will appear blue, with the warmer temperatures moving to red then yellow. The hottest temperature appear white. The building and construction industry has used thermal imaging for years now to find hidden water damage, plumbing leaks, finding faulty electrical systems, and helping to locate loose electrical connections or overheated breaker boxes. Thermal imaging cameras are also used for for energy loss audits to find cold air leaks. Thermal imaging cameras have become an important tool for indoor air quality professionals. While infrared detection does not specifically detect the presence of mold, it does provide mold inspectors with an overall view of local conditions that may provide the opportunity for mold infestation. Imaging is also used for post-mold remediation to verify that all building materials and structures are thoroughly dried out before any reconstruction work begins. 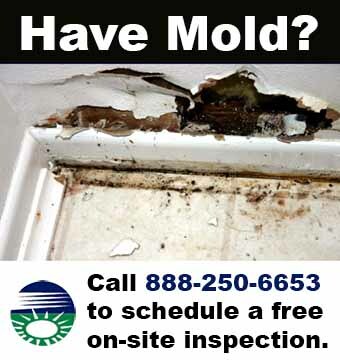 If the affected mold areas are not completely dry, mold growth will reoccur. 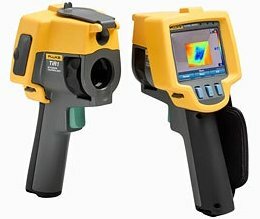 Contact H&H Environmental today for a thermal inspection of your home or office using the latest imaging equipment. We provide mold removal services in New York and New York City, New Jersey, Connecticut, Pennsylvania and Massachusetts.